Palestinian Authority (PA) and Fatah leaders harbor Nazi sympathies, the Palestinian Media Watch (PMW) reported. Admiration of Hitler is one part of the Palestinian Holocaust denial and distortion. In a January 2016 TV interview with Ma'an, senior Fatah official Fatah Central Committee Member Tawfik Tirawi said that "Hitler was not morally corrupt. He was daring." His Arab interviewer responded, "Is that the way to talk? I say: Let's drink some tea and take a break. It would be a pity to be put in jail because of this interview. We will drink tea and take a break. Let's leave Hitler." In addition to the 31 PA schools named after terrorists, the PA also named three schools after Nazi collaborators: One school was a result named after Nazi collaborator and war criminal Amin Al-Husseini and two others named after Nazi collaborator Hassan Salameh. Amin Al-Husseini was the Grand Mufti of Jerusalem at the time of the British Mandate. During World War II he moved to Berlin, where he collaborated with the Nazis and was an associate of Hitler. Al-Husseini was responsible for a Muslim SS division that murdered thousands of Serbs and Croats and was on Yugoslavia's list of wanted Nazi war criminals. When the Nazis offered to free 5,000 Jewish children, Al-Husseini fought against their release which caused 5,000 children to be sent to the gas chambers. 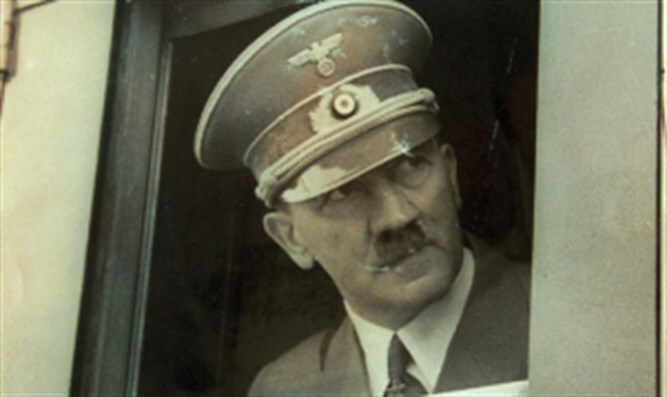 Adopting the PA messaging, at least two schools have posted pictures of Hitler accompanied with the text, PMW reported. One of the photos reads, "Hitler said: 'I could have annihilated all of the Jews in the world, but I left a few so that you would know why I annihilated them.'" One of them is still accessible today on Facebook. The PA sympathy with Amin Al-Husseini is not limited to the PA Ministry of Education. A June 2016 post on the Facebook page of the PA National Security Forces, similarly glorified him, with the words, "Muhammad Amin Al-Husseini - 'A right that is demanded will not be lost.' If there is a practical example of this saying, it is Muhammad Amin Al-Husseini. This man lived the Palestinian cause until his last breath. After his death, one of Israel's leaders said: 'Israel was meant to be created 10 or 15 years after the beginning of the project, but Amin Al-Husseini caused it to take decades.'" The Lebanese branch of PA Chairman Mahmoud Abbas' Fatah Movement argued in an article that the true victims of Hitler were the "Palestinians" and that Former British Foreign Secretary Arthur Balfour was himself an anti-Semite. "The difference between [Adolf] Hitler and Balfour in this field was that Balfour had colonies, among them Palestine, and he sent the Jews there in order to get rid of them. Hitler did not have colonies, and therefore he got rid of them through extermination. However, the true victims of both Balfour and Hitler were the Palestinians and the Arabs, and we are still paying the price after 100 years," Falestinona. the Information and Culture Commission of PA President Mahmoud Abbas' Fatah party in Lebanon, wrote on its website. In addition, Zayzafuna, a PA-funded children's magazine, accepted for publication a submission by a 10th grade PA girl which presented Hitler, not only as a positive figure, but one to be admired because he killed Jews in order to benefit all humanity. The girl's submission describes her dream in which she met four heroic historical figures and has a conversation each of them. Three of them were renowned Muslims, including a Nobel Prize recipient and a math scholar, and the fourth was Hitler. "You're the one who killed the Jews?" she said to Hitler in her dream. Hitler responded: "Yes. I killed them so you would all know that they are a nation which spreads destruction all over the world. And what I ask of you is to be resilient and patient, concerning the suffering that Palestine is experiencing at their hands."